Ms. Balliet began her tenure with the agency before 2004 as a Case Management Supervisor and promoted within the agency to her current position as Chief Operating Officer in 2014. 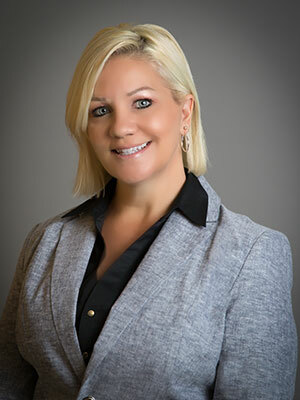 Ms. Balliet has been instrumental in the expansion of several existing programs, as well as the planning and implementation of newly developed Case Management and Diversion programs throughout the State of Florida. Her portfolio includes oversight of operations for Child Welfare, Behavioral Health, and Elder and Disabled Programs throughout the state. In addition to the programs she directly oversees, Ms. Balliet also serves as liaison to the Grants Department, Marketing and Development and other key agency operations. Ms. Balliet earned a Master of Arts Degree in Guidance Counseling, a Bachelor’s Degree in Criminology and is a Certified Child Protective Professional (CCPP). She has over 20 years’ progressively responsible experience in Child Welfare Protective Services, Foster Care, Licensing and Placement and Adoptions, Child Protective Investigation, Juvenile Justice Probation, and Behavioral Health services in multiple counties. In 2010, Bob Henriquez, former Circuit Administrator from the Florida Department of Children and Families, presented Terri with the “Community Champions Award” for her efforts to safely reduce the number of children in foster care in the 6th Circuit. Ms. Balliet is an active committee member and Chair for the State of Florida Chief Operating Officer subcommittee of the Florida Coalition for Children (FCC) and supports their mission to advocate for Florida’s abused, abandoned and neglected children, and supports the agencies and individuals who work on their behalf. She is a graduate of Leadership Tampa Bay and encourages their continued initiatives.